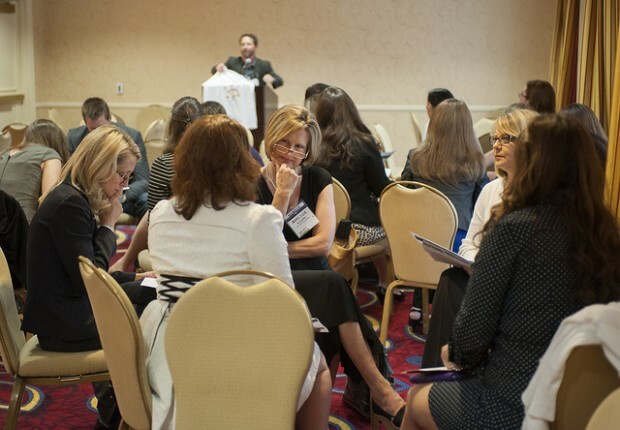 A breakout session during the 2013 Cause Marketing Forum. Photo courtesy of Cause Marketing Forum. I had the privilege of speaking at the 2013 Cause Marketing Forum about how to leverage social media to connect moms with causes. While this post isn’t nearly as riveting as my presentation, it summarizes many of the key points to consider when marketing causes to moms. Be where she is. Find out where your consumer already spends most of her time. Is she on Facebook? Does she over index for Pinterest? Identify where mom is then connect your cause with her there. Don’t make her go somewhere new. Make it easy to engage. I’m a mom as of last December. The new title could fill up another post in and of itself. People ask me what surprises me most about parenthood. My answer is always how busy life becomes with a little one. As much as we marketers don’t want to believe it, playing with and caring for the kids will always take precedence over interacting with your organization. K.I.S.S. is key when engaging mom in your cause program. Leverage every opportunity. Cross-promote your cause with every possible paid, owned and earned opportunity, be it online or off. Integrate your call-to-action throughout public relations, advertising, etc. And don’t forget to look at your partner organization’s assets and ask them to push your call-to-action, too. Extend reach. Our co-presenter, Emily McKhann of The Motherhood, surveyed social media moms and learned more than half of moms use social media to influence others to support charities and causes they support. Giving moms the simple ability to share your cause-focused content with their own friends and followers will bring even more supporters to your organization.